Food is our passion and quality is our commitment. Quite simply, these are the attributes that will be the heart of your El Gaucho experience. 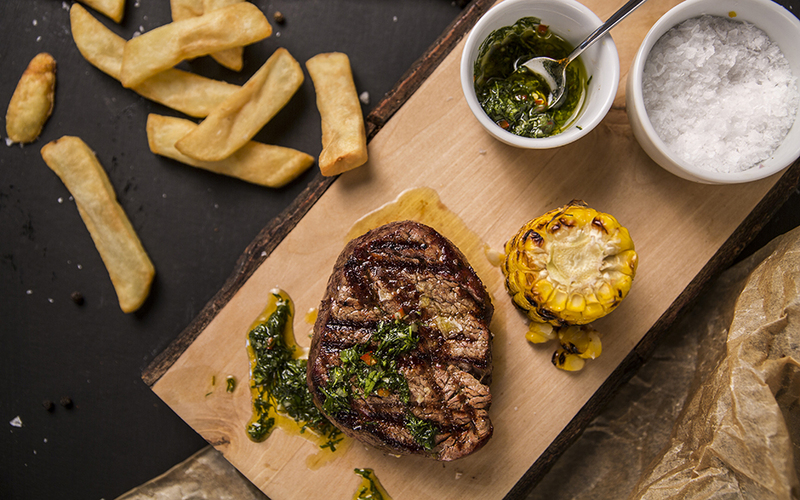 Our innermost desire is that you consider El Gaucho the benchmark for an amazing steak. Or better yet, the place for steak. 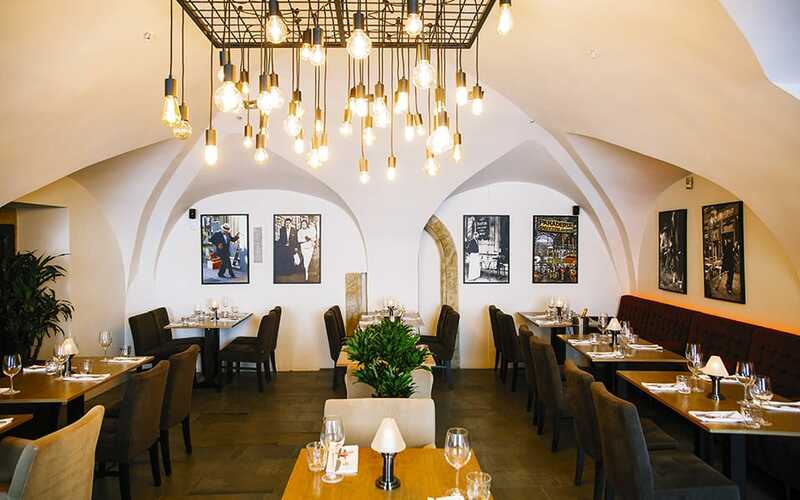 The history repeats itself, and after a short hiatus, we are back in Bratislava with the next level steakhouse our patrons deserve. The success of our sister venues across Southeast Asia including Thailand and Vietnam, inspires us to bring you the finest cuisine, world-class service, and upscale atmosphere. Our meat is grass-fed and of the highest USDA quality to bring you the healthiest and tastiest steak. 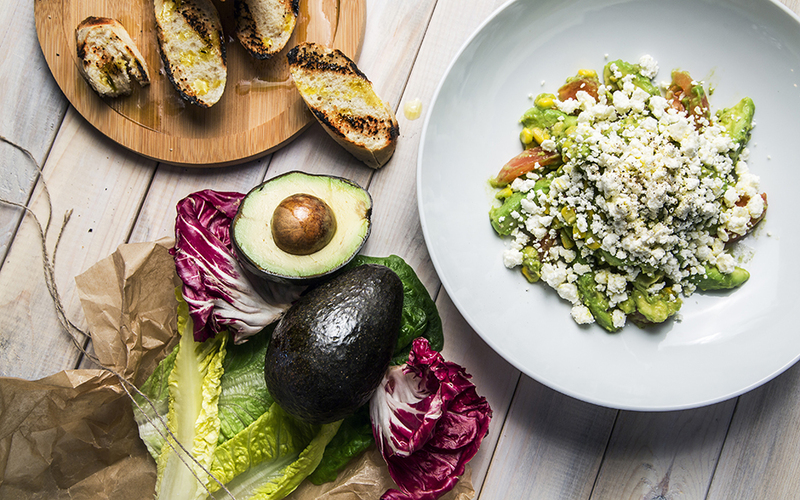 In addition, other meals and all the popular steakhouse classics are from the freshest ingredients to make your dining experience unforgettable. Nothing short of awesome is our sommelier curated wine selection including wines from famous regions and wineries across the world. 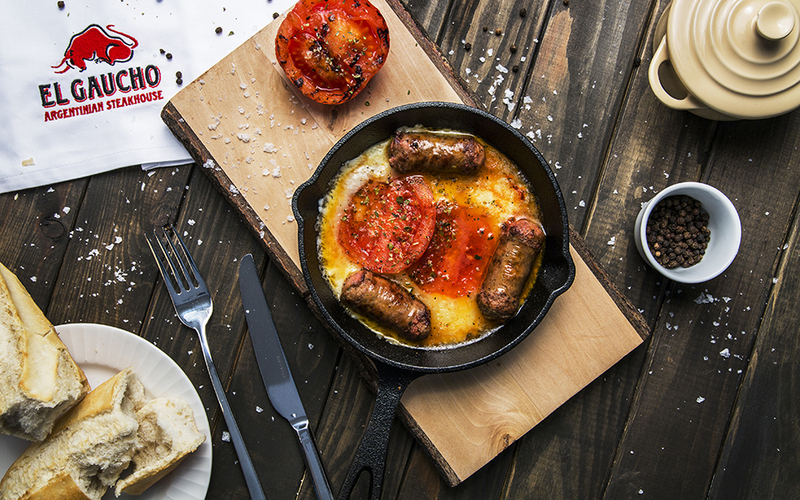 Life’s too short not to eat at El Gaucho. Make your reservation today. Opening hours: Daily from 12am until midnight. 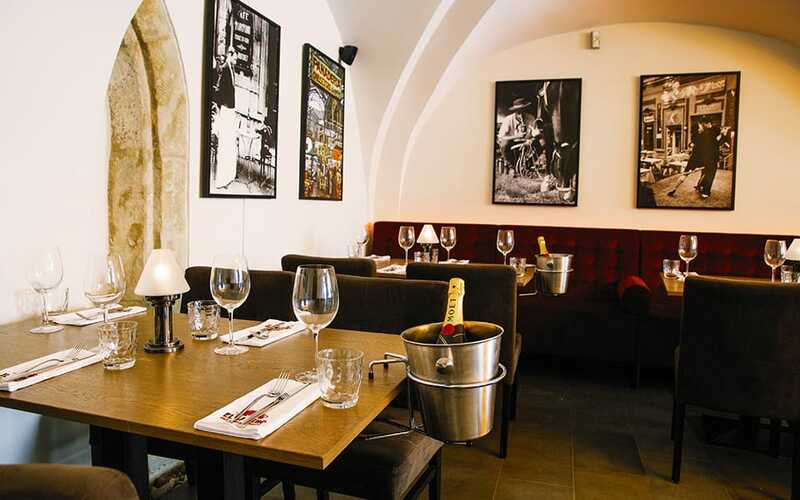 Ventúrska street, one of two oldest streets of Bratislava, has always been a street of palaces. Noble families like Palfy, Zichy, de Pauli or honorable Erdödy family had their aristocratic residencies here. Today past meets the presence on this historic street full of caffees, wine bars and restaurants and became one of most popular spots to go out in town. 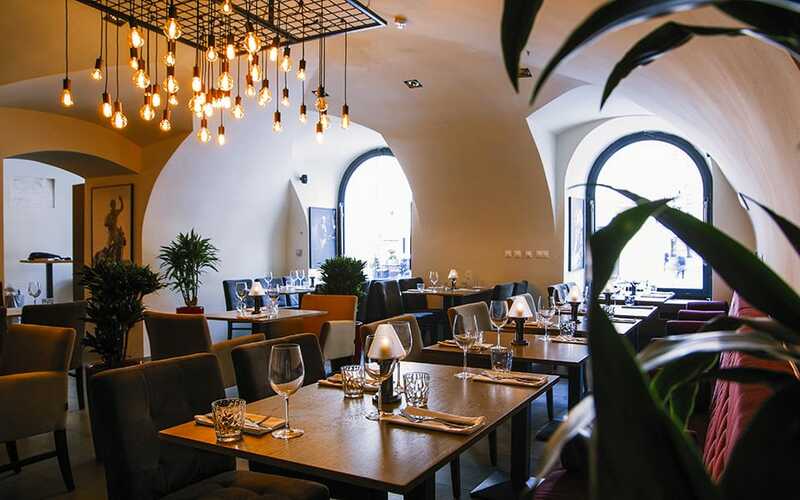 You can find El Gaucho in landmark building of Erdödy Palace on Ventúrska street 1 and enjoy elegant enviroment and inviting atmosphere at the bar or one of restaurant areas. 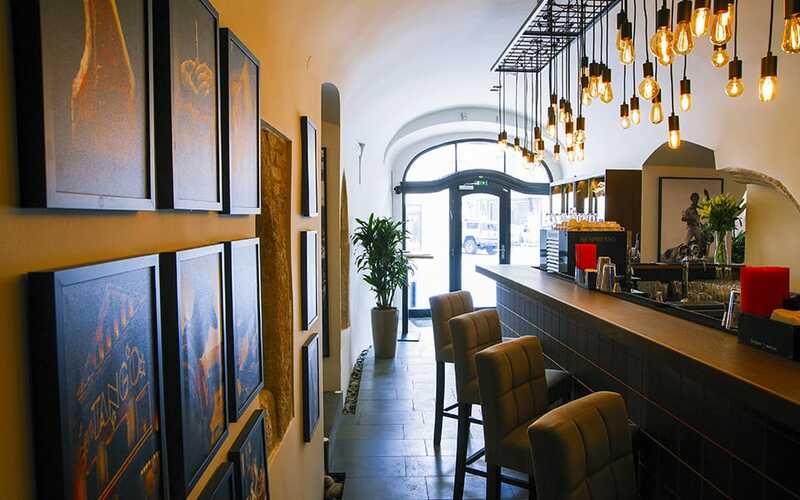 Original arched ceilings and large windows to the summer terrace add unique charm and unhurried ambiance. 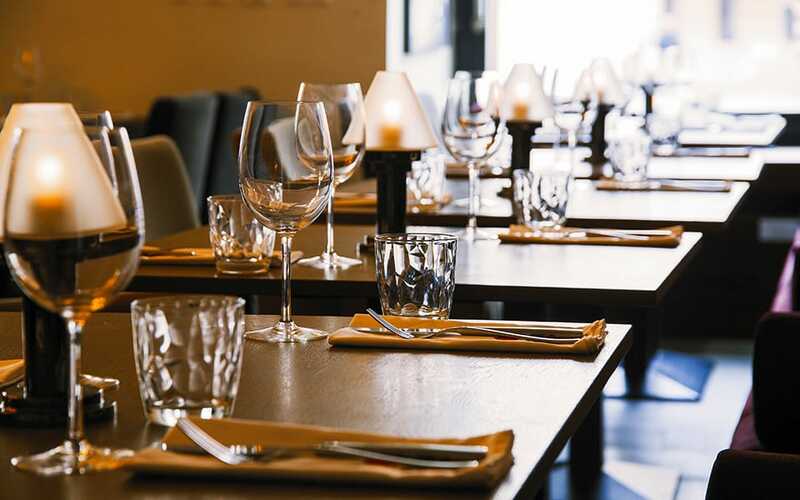 Each of two restaurant rooms can be booked for private events. The restaurant has a smoking area outside, on our summer terrace. 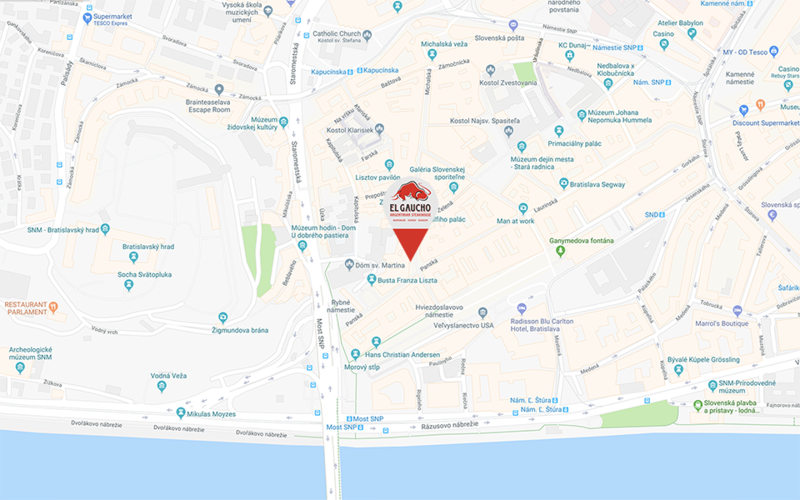 We recommend parking in garages of Hotel Carlton or Park Inn Danube. The closest taxi pick up next to American embassy on Hviezdoslavovo námestie 4. Our restaurants are proud to serve the finest steakhouse-style food, using only the best products and ingredients, especially in regard to our beef – High-quality, natural Prime Black Angus US grain fed. Combine your dinner with one of our Old and New World wines which can transform a fine meal into an unforgettable moment.